Small sports cars generally have important appeal to the younger crowds, possibly the only one that is important to those of older ages is the Mercedes SLK. It does manage to mix luxury with performance levels that excite the mind without being problematic or very opulent. Well, perhaps with the exception of the AMG version. The 2012 Mercedes SLK63 AMG will probably not have much trouble selling or at least capturing appeal but it will most likely have trouble turning corners. As far as the previous version is concerned the Mercedes SLK AMG struggled to contain it’s rampant engine and then managed to barely handle. 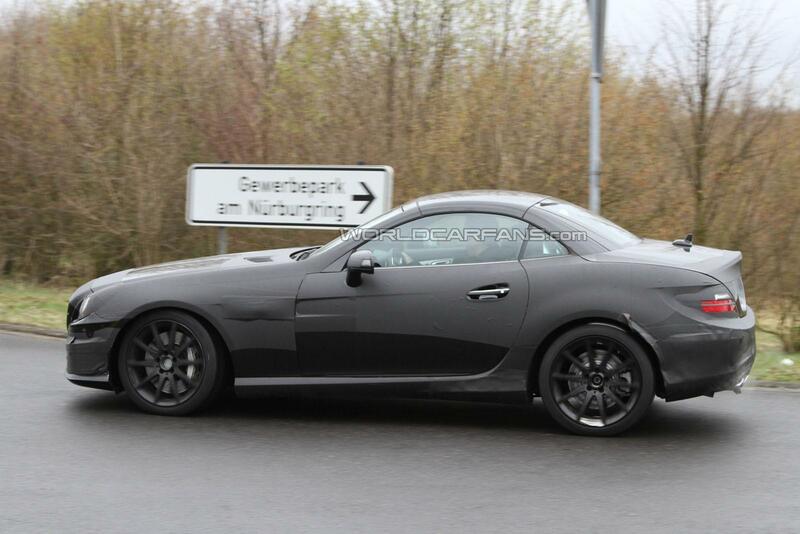 Since the 2012 Mercedes SLK63 AMG was spotted in Germany, on the road nearby the infamous Nurburgring racetrack. 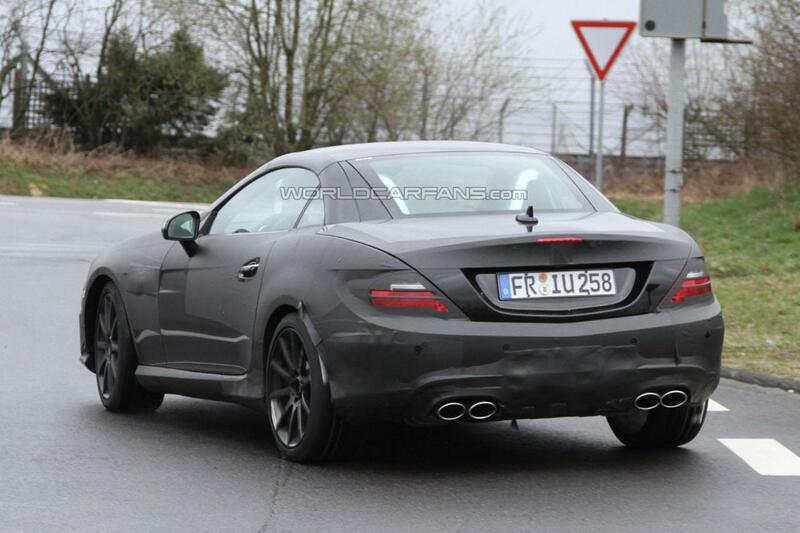 This could mean that the future SLK63 will also include a properly setup platform and real sports car handling to match the glorious 6.2 liter V8 AMG will be stuffing into it. Did I say 6.2 liter V8? 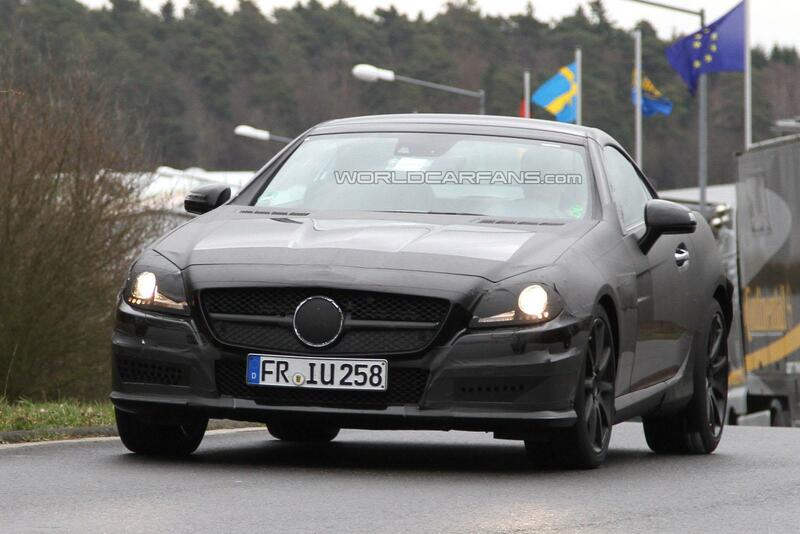 I must have been still thinking of the previous generations, rumor has it Mercedes is going a different route with the 2012 SLK63 AMG. Possible engine choices still include that engine but there’s word on the 5.5 liter naturally aspirated or twin-turbocharged V8 which may see home under the bonnet of the 2012 Mercedes SLK63 AMG. Alas, only time will tell of the performance levels available from it.